PEORIA — A man who allegedly tried to ram a car into the Peoria airport’s terminal, then boarded an empty plane and then tried to steal a county deputy’s squad car said he was worried about an impending zombie apocalypse. After a Peoria County grand jury on Tuesday indicted Justin T. Deemie, 27, of 1115 E. Elmhurst Ave. on charges of home invasion, residential burglary, possession of a stolen motor vehicle and criminal damage to government-supported property, prosecutor Steve Pattelli said Deemie had been under the influence of drugs early Feb. 17 when he began to worry about zombies at about 3 a.m. The 2005 Ford Escape that Deemie is accused of stealing belonged to a woman in a neighboring apartment located in the 200 block of East Oak Cliff Court. Pattelli said Deemie broke into the apartment looking for keys to her vehicle so he could flee to Gen. Wayne A. Downing Peoria International Airport. Once at the airport, he tried to ram his way into the terminal. He then accessed a restricted and secured area, made his way onto the tarmac and onto a plane, the prosecutor said. 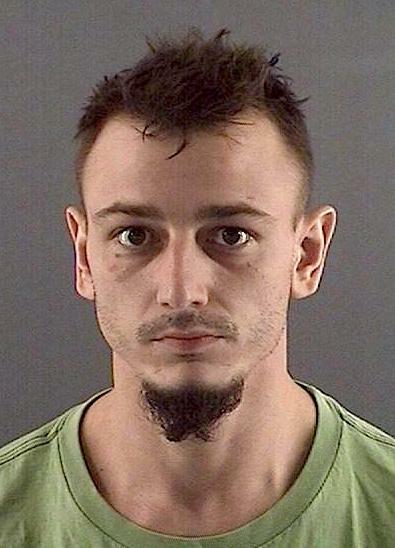 Once there, he realized the plane was empty and, whether it was fear of flying or zombies, he left the plane and ran toward a Peoria County sheriff’s deputy’s car, where he used a landscaping brick to break out the back window. The plan? To take the car and drive to Florida, Pattelli said. The deputy was able to shut off his car remotely, and then he and others corralled Deemie after he tried to run away. Deemie was taken to a hospital afterward, but that had as much to do with the toxicity of the drugs in his body as any possible injuries he had suffered, the prosecutor said. As a result of his misadventures, about a half dozen flights were delayed or canceled that day. Deemie remains at the Peoria County Jail on $500,000 bond pending his arraignment on the charges Thursday morning. If convicted, he faces up to 30 years in prison. Willing to bet my left nut that the drug this man was tweaking on was meth…. Nothing much more to say about this fuckery, this fuckery speaks for itself! !